This is the second section of Part 5: Rituals and Remembrance. In the previous post, I tried to explain how modern Memory Mavens often read Maurice Halbwachs selectively. For example, Barry Schwartz (see Part 3) and Anthony Le Donne (see Part 5.1) inexplicably failed to read the earlier chapters of The Legendary Topography of the Gospels in the Holy Land: A Study of Collective Memory (La topographie legendaire des evangiles en terre sainte: Etude de memoire collective). In a similar fashion, some modern authors seem all too ready to conflate Halbwachs’s generalized treatment of the “localization” of memory with his specific discussions about locations, places, etc. To be fair, we might argue that part of the problem is Halbwachs’s use of the term. In its first iteration, then, localization in general refers to two things: (1) the placement of individuals within the perspective of a group and (2) the placement of individual memories within the larger framework of group memories. 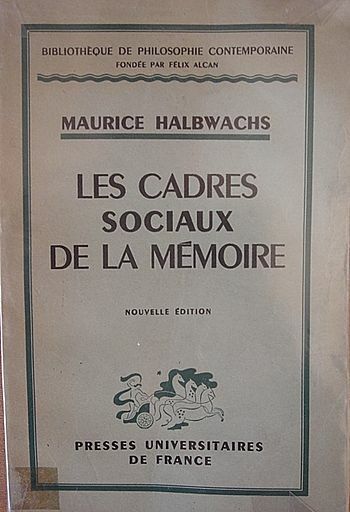 Hence, for Halbwachs, we cannot understand how memory works unless we take into account the associations between individual recollections and the group or groups to which that individual belongs. Castelli’s peccadillo stands in stark contrast to Barry Schwartz’s bizarre and hostile reading of Halbwachs, which you will doubtless recall from the third part of this series, Bethlehem Remembered, wherein we marveled at Schwartz’s hostility and ignorance. A revealed religion like Judaism or Christianity takes atemporal, eternal truths and connects them to our existence in the here and now by attaching them to commemoration and ritual. Christianity, in particular, takes timeless truths that exist, along with God, in the eternal, heavenly realm and realizes them in the earthly plane. The events in the life of Christ connect the believer to these eternal truths by means of participation in rituals and ceremonies. Each act of commemoration, then, cements the relationship between Christ and his followers. It makes the past come alive in the present and binds the flock together in harmony. Perhaps more than any other religion, Christianity is focused on its history. The act of ultimate redemption is a definite point in the past. And yet the church also believes that these specific acts in history reveal and realize transcendent truths. Things look very different with Christianity. Here Christ is not only a “knower” or a saint; he is a god. He does not limit himself to indicating the road to salvation to us; yet no Christian can attain salvation without the intervention and the efficacious action of this God. After his death and resurrection Christ did not lose contact with humankind, but rather remains perpetually within the bosom of his Church. 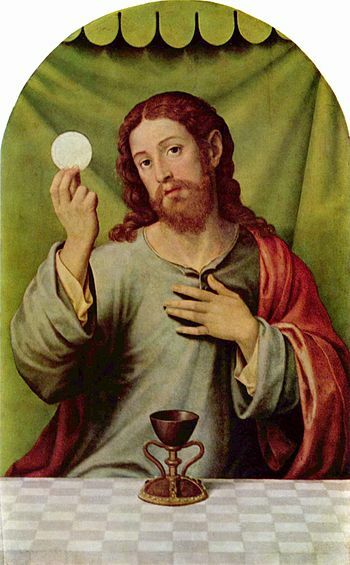 In a sense, believers do not participate in a Eucharist, but in the Eucharist, a perpetually repeated enactment of the original Lord’s Supper, which invokes the presence of Christ in this very moment. We can hardly overestimate the power of ritual to reveal Christian truths, especially given the nature of Christian scripture — sometimes ambiguous, often obscure, frequently misunderstood. Too many of today’s NT scholars are unable to break from their Protestant past with its emphasis on sola scriptura. They undervalue the effectiveness and importance of rituals. And yet, over time the holy texts of Christianity have themselves become ritual objects. Through constant repetition during ritual reenactments, they connect believers to the cult. In this post, I wanted to clear up two pervasive misconceptions in NT memory studies. First, we sometimes see authors carelessly confuse the general theory of localization of memories (i.e., the placement of individual memories within larger social frameworks) with Halbwachs’s research related to the localization of events in the Gospels and the Acts of the Apostles (i.e., what skeptics might describe as associating fictional occurrences to arbitrary spots on the map). Second, we rarely see today’s memory mavens give Halbwachs due credit for understanding the relationship between religious ritual and the perpetuation of memory. Schwartz in particular attacked him, calling it his “greatest failure.” And yet, if we carefully reflect upon what Halbwachs actually wrote, we find a surprising amount of subtlety and depth. As we will see in future posts, Paul Connerton added greatly to the discussion on rituals and commemorations and how they bind people to societies, creating and reinforcing social and cultural memory. But we should not pretend that Halbwachs had nothing to say on the matter. Posted on 2015-03-22 03:51:37 GMT+0000 by Tim Widowfield. This entry was posted in Biblical Studies and tagged Anthony Le Donne, Barry Schwartz, Maurice Halbwachs, Memory Mavens, Paul Connerton, Social Memory. Bookmark the permalink. This seems good. Especially the ritual section. Reminds me of Sausurrian and Structural Linguistics. Which told us that we make sense of individual things only in context of a larger system or structure. Or as Poststructuralism would say, a Master Narrative. Connerton has some very interesting things to say about “body practices” and rituals. It’s one thing to read a text or have it read to you; it’s quite another to act out rituals and repeat credos out loud. In those cases, you’re actively taking part in the commemoration, and that act changes you. The next post will have more to say about such rituals and how they relate to social memory. Sounds good. I hope our exorcism expert returns to add to that as well. I feel he also has an important piece of the puzzle, relating to the anthropological contribution to the understanding of myths and therefore mythicism. Exorcism is a very intense ritual.